Maniacle and manic; those were my overriding thoughts after reading El Sombra. It’s no surprise as the author, Al Ewing, is known for his comic book writing and this novel, set in a steampunk alternative reality, had many of the same visceral, action packed set pieces along with a healthy dose of vile villains waiting to be extinguished in exceptional style. In the shared world sandbox of Paz Britannia, Ewing takes the idea of steampunk and runs with it. Basing his story in a small Mexican town that has been overrun by ruthlessly evil Nazis, El Sombra is a tale of absolute vengeance. By that, I mean total and completely insane levels of retribution. The eponymous protagonist was once some sort of emo poet and general laughing stock while his brother was the exact opposite; handsome, charming, brave and liked. Opening at the brother’s wedding, the novel quickly finds its stride as Nazis murder the bride and groom while emo-boy blubbers and then runs away. As a catalyst it’s result is impressive. Emo becomes El Sombra; a fierce, desert hardened, sword wielding mix between ninja and berserker. After nine years in the wilderness he returns to his village and wreaks havoc. The Nazi force are undertaking all kinds of experiments, mainly turning the populace into mindless automatons. El Sombra is a one man army and so begins his bloody, violent journey toward retribution. 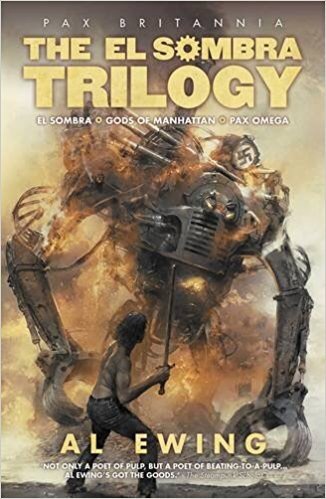 El Sombra is a blend of self-reflexive pulp fiction, alternative history, steampunk and comic book violence. It’s glorious in its unrelenting, unadulterated, uncensored imagination. Flying Nazis, a steampunk powered Hitler, gore galore and a hero of epic proportions. It’s mental but in a good way. Adrian Tchaikovsky describes this collection as one focusing on the peace between conflicts in his larger stories. If this is what his world is like when it’s not at war, then it’s a very frightening place. Fallen Heroes epitomises that idea; a tale of a minor skirmish between competing gangsters, or ‘Fiefs’ as they are called, over some territory and the tenement housing within. A young fly-kinden, tired of how everyone around him has capitulated to a higher power, and enamoured by the idea of heroic, free-spirited warriors, sets out to find a champion to help protect his home. However, he finds both more and less than he bargained for. It’s a classic, gritty idea as romantic notions are dashed by hard realities; personal ‘heroes’ are knocked from their pedestal and unlikely protectors are more fearsome and cold blooded than they are valiant. Tough truths and a fantastically brutal western-esque feel gives Fallen Heroes real weight for such a short story. There’s little let up in the grit department in The Price of Salt where, just like Fallen Heroes, the reader is introduced to the history of certain characters from the novels. After capturing, killing and decapitating a man with a decent bounty on his head, four mercenary rogues find themselves caught up in some bad business, far away from where and what they know. The head, cleverly pickled in salt, has been spirited away by a young lady, much to the chargrin of the nominal leader of this grim group. It’s all a ruse, however. She doesn’t want the head; she wants their prowess as warriors and killers. Once again, this is a great example of how the author has taken the idea of insect-kinden and used it for a properly innovative basis of a story. As their numbers swell out on the desolate steepes, the Grasshopper-kinden become susceptible to the Grand Moon; an event as inexplicable as it is unpredictable. As the moon rises, those with the Art turn away from their normal, calm and peaceful behaviour into a wild, violent Locust mob. What ensues is a fight for survival as the four mercenaries are trapped by the mad, mindless, Moon struck kinden. It’s as brutal and fantastic as it sounds. Back in Helleron, the same city where Fallen Heroes takes place, the story of just how far a lost, alcoholic, Wasp can fall unfolds. The city, teeming with factories and tenements, rich and poor, dives and fine establishments, is a machine that grinds everyone down. It’s a realisation that Varmen is trying to drown in drink. A former elite warrior for the Empire, Varmen is now a penniless drunk; no less dangerous nor violent but near impossible to employ. His pride remains, driving him deeper into debt as he cannot find it in himself to lower his expectations. In the end, he has no choice. Debt forces him toward avenues he wishes to avoid but fate, and a drug addled roommate, conspire otherwise. The Last Ironclad is a redemption story of sorts for though Varmen has fallen as low as is possible, he finds that thing within him to escape. Rather than be mere grist to the wheel, the Wasp fights and, though he is an obsolete soldier in the eyes of the Empire, that which made him an elite warrior remains. This collection has really impressed upon me just how good the Shadow of the Apt novels must be. Even though I’m not familiar with the lore, these stories are exciting reads, offering windows into an intriguing world of fantasy. I haven’t read any of Adrian Tchaikovsky’s The Shadows of the Apt and, now, I’m really kicking myself for not exploring the series earlier. The premise behind the worldbuilding is fantastic as clans of different ‘insect-kinden’ clash in a complex, politically fraught realm. In this collection of short stories, the author explores ideas outside of warfare – no less dangerous and no less intriguing for it. As the opening gambit in this collection, Loyalties is a brilliant slice of backstory and character development. 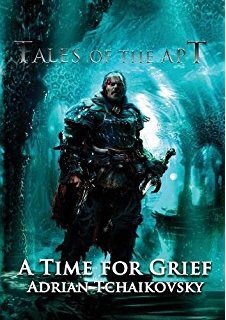 The protagonist of the tale, Balkus, might be more of a side player in the bigger novels but, here, we are given an intriguing look into just who he is. A set piece that shows the complexity of the world Tchaikovsky has built, the gritty, hardened mercenary and the naive, in-training, young heiress combination is turned on its head when Balkus realises he’s been played on a number of fronts. Though I’ve not read Shadow of the Apt there’s enough here to truly grip a reader’s interest (and encourage them to read more of Tchaikovsky’s work). The writing is exemplary and the world is so clearly and cleverly defined it’s easy to find a way in and enjoy the story. There’s an added bonus as the author includes a little post-script for each story, explaining its origins, which I found most compelling. In Bones more of the world and setting is laid out by exploring something of its past development. Tchaikovsky gives insights into the ideas of the Art that humans use and how it manifests in unison with different types of insect-kinden. Seeing how each clan and its association to types, such as spider or fly, operates in the world is fascinating, especially as a first time reader to his work. At the heart of this story lies dark politics and a hierarchy determined to maintain control whether that be physically or intellectually. There’s a darkness bound to hiding knowledge and keeping it secreted for the “greater good” and in Bones we get to see first-hand those who wish to perpetrate such benevolent policing upon a world. Whilst I am new to The Shadows of the Apt realm, these windows into that world have definitely caught my imagination. Tchaikovsky is, obviously, a great writer and I really enjoy reading short stories by authors who have created such complete fantasies as the depth and quality of the work really comes through in spades. More from this volume to come. Part of the reason my reading has been sporadic of late has been due to moving house – and country… So, all my books, new and old, are now in several towering columns of boxes. Thankfully my wife provided us with a kindle so that we can continue to indulge in one of our favourite past times. Just as thankfully, I received some great looking ebooks recently. 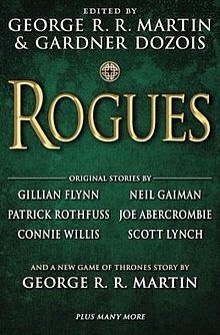 First up is Rogues , an anthology from the great minds of George RR Martin and Gardner Dozois. If youre a fan of fiction that is more than just black and white, this latest story collection from #1 New York Times bestselling author George R. R. Martin and award-winning editor Gardner Dozois is filled with subtle shades of gray. Twenty-one all-original stories, by an all-star list of contributors, will delight and astonish you in equal measure with their cunning twists and dazzling reversals. And George R. R. Martin himself offers a brand-new A Game of Thrones tale chronicling one of the biggest rogues in the entire history of Ice and Fire. Follow along with the likes of Gillian Flynn, Joe Abercrombie, Neil Gaiman, Patrick Rothfuss, Scott Lynch, Cherie Priest, Garth Nix, and Connie Willis, as well as other masters of literary sleight-of-hand, in this rogues gallery of stories that will plunder your heartand yet leave you all the richer for it. 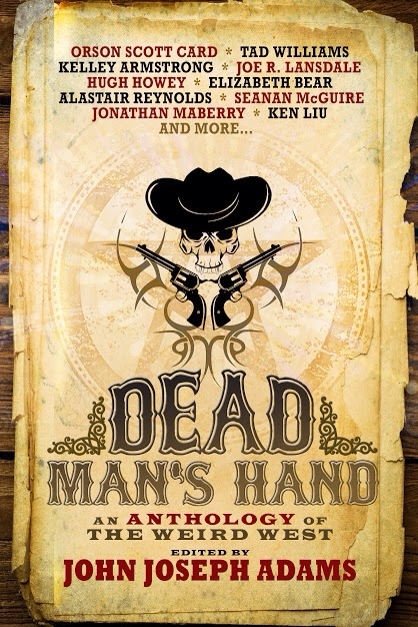 Next up is Dead Man’s Hand , an anthology of weird west tales that I’m very keen to delve into as the cover alone looks awesome, never mind the listed authors. From a kill-or-be-killed gunfight with a vampire to an encounter in a steampunk bordello, the weird western is a dark, gritty tale where the protagonist might be playing poker with a sorcerous deck of cards, or facing an alien on the streets of a dusty frontier town. Here are twenty-three original tales—stories of the Old West infused with elements of the fantastic—produced specifically for this volume by many of today’s finest writers. Included are Orson Scott Card’s first “Alvin Maker” story in a decade, and an original adventure by Fred Van Lente, creator of Cowboys & Aliens. Other contributors include Tobias Buckell, David Farland, Alan Dean Foster, Jeffrey Ford, Laura Anne Gilman, Rajan Khanna, Mike Resnick, Beth Revis, Ben H. Winters, Christie Yant, and Charles Yu. Finally, and continuing their awesome run of anthologies is another collection from Solaris. Dangerous Games has an interesting sounding premise, one I want to explore very soon. 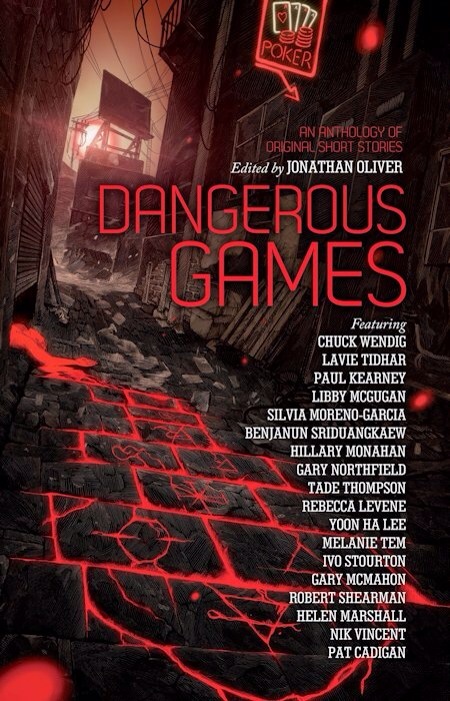 Edited by critically acclaimed Editor Jonathan Oliver with an incredible range of authors that includes Hugo award-winners, bestsellers and exciting new talents, Dangerous Games is out December 2014. Featuring tales of the deadly, the macabre and the strange, Dangerous Games continues Oliver’s journey as the rising star of short form fiction, bringing together a highly original collection of new tales that take a slanted look at the world of gaming: from parlour games to role-play, the traditional to the futuristic. The wonderful people at Titan books also emailed me some Terminator Salvation tie-in novels. As a huge fan of the films I’m definitely going to be checking these out soon as well. So, all in all, an email haul; expect reviews aplenty soon. Described as a reimagining of colonial India, Eric Brown has turned his sights on steampunk with an intriguing premise. Check out the press release and blurb below. 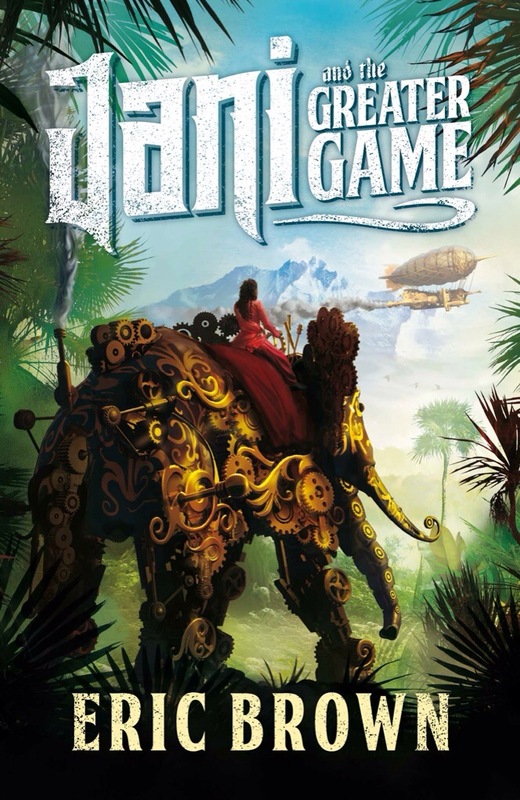 The first title in the series – Jani and the Greater Game – releases this July and follows bold protagonist Janisha Chaterjee as she uncovers the secret behind the mysterious power source known as Annapurnite, which sits at the centre of the British Empire and drives the British, Russian and Chinese political stand-off that is the “Greater Game. Eighteen-year-old Janisha Chatterjee is returning to the death bed of her ailing father when her airship is attacked and wrecked. Saved from the debris of the ship by a stranger, she is entrusted with a mysterious device that finds her pitched into the centre of the international conflict. I haven’t read much steampunk but the stuff I have has been lots of fun. With Eric Brown at the helm (and with such a cool cover), I think this could well get a read soon.